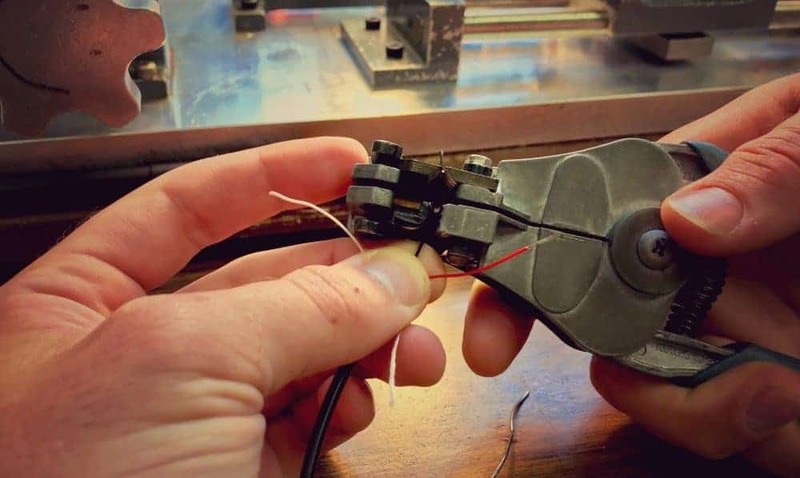 There’s a lot you can do with a humbucker pickup, wiring wise. Choosing the right Humbucker Lead will help you get the job done right. 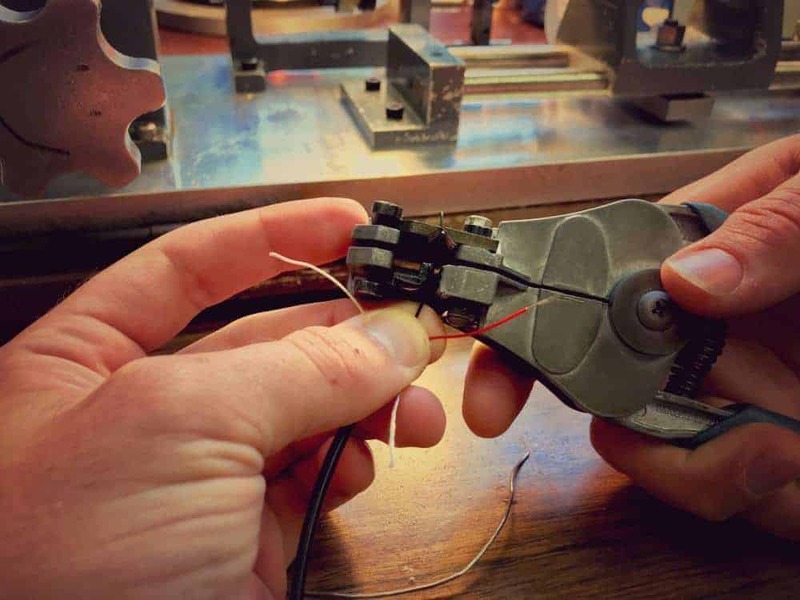 Humbuckers are a powerful tool in the guitar pickup toolbox. They have their own sound, and their own function: they don’t hum! (duh) They are also very versatile. You can wire them a plethora of ways, depending on what you’re trying to achieve. That said, how do you know which lead to choose so you get the options you want? The Gibson Braided Shielded Lead is an extremely popular type of humbucker lead. It features a metal braid around a cloth insulator. Inside the cloth insulator, is a stranded lead, which is the “hot” signal of the pickup. The braided shield offers two features: durability, and easy installation. The Braided Shield is actually the method of grounding the pickup. It’s usually soldered on the back of the volume pot that controls the pickup. Solder the inside lead to the Volume Pot input. Solder the Braided Shield to the casing of the Volume Pot, and make sure it’s connected to ground. This is a beautiful lead, and we recommend it all the time. This lead has a White, Black, and Shield, all surrounded by a thick rubber insulator. This lead allows you to reverse the phase: the coil is completely separated from the chassis ground. If you ever experienced phasing issues, you could simply swap Black and White, and you’ll be set. When 2-Conductor isn’t available for a Humbucker, this will do the trick. It’s like the 2-Conductor Lead, except it has a Red lead, which allows you to Split the humbucker. If you don’t want to Split the Humbucker, take some masking tape and tape off the Red Lead. If you want to Split the humbucker, you’ll need a Push / Pull pot to connect Red to Ground. See our Article Here. In addition to the Red lead, you now get a Green lead. For normal humbucker operation, Red and Green need to be soldered together in order for the humbucker to work. We hope that this article helps you choose the correct lead for your needs. There are many options out there, but in our experience, it helps to research what your guitar needs, and what options you need out of the lead before you buy.